Three cheers for our new customer of the week: Amy!! Watch out fellow baseball moms. Amy’s new frames are bound to make you a little jealous! Amy came looking for something cute and fresh, but not too over the top. Ya know, that look where it seems like you just effortlessly threw something together even though you actually thought it out and carefully executed it? 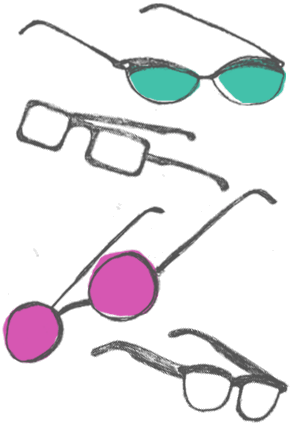 That’s exactly what these Anne et Valentin “Octet” frames in amethyst with mint green temples accomplish. Am I right?! 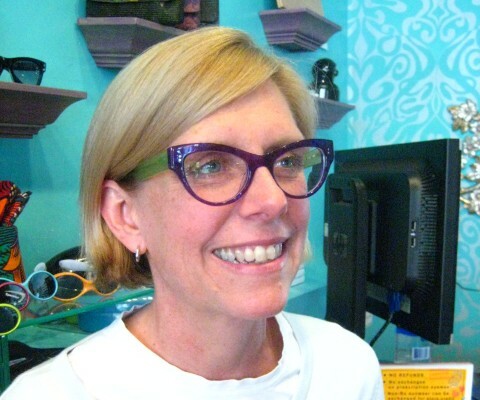 These are the fourth pair of Anne et Valentin frames that Amy’s added to her roster, and they’re definitely a home run!